Oh yes, the topic that’s relevant to the title above. This isn’t much of a smooth transition now, is it? I’m not sure if any of you caught wind of my love for coffee, or more like caffeine addiction (I love tea too), because I certainly don’t talk about it on the blog as much as I do in real life. You think you know me, but you don’t. :P I am often found checking into Yelp’s reviews on my Android, simply because it’s fun and I find the reviews to be accurate 95% of the time. The other 5% is—well, just ask Greg about that since he’s had his fair share of bad experiences. I also think I rubbed off on Greg as I catch him Yelping more often than I do. Muhaha! After reading the reviews on Old Torrance Coffee & Tea, as I’ve been ultra curious to know what this little place was all about, I was convinced that it would be “my spot” for doing some work on the computer while getting my caffeine fix for the afternoon. And so it was! I have to admit that the moment I walked into this cafe, I had a hard time breathing because of the stuffy and warm air coming from their machinery. Perhaps they need to invest in some air conditioning? But no need to worry. Because you know—cute little decorations pasted all over the walls plus terrific java makes up for everything else. Yep, the old cliche that says, “the glass is half-way full” totally applies here. And now…it is time…for…a GIVEAWAY!!!! I was recently contacted by the cool people at SlimKicker, which is a site that helps ordinary folks like you and me to keep track of our health and fitness goals. This site offers a variety of nutrition and health advice, and they pride themselves in helping people reach their health goals by providing fun and creative challenges. For example, one can challenge him or herself to stop drinking soda for a week, or something as simple as taking the stairs instead of the elevator. In this giveaway, they want to give one blessed participant the chance to win an awesome heart rate and calorie monitor! Isn’t she lovely?! Maybe you can win it and then mail it to me, hehe. To enter this giveaway, all you have to do is leave a comment about a challenge that you or anyone else could partake in, in order to reach his/her fitness goals. 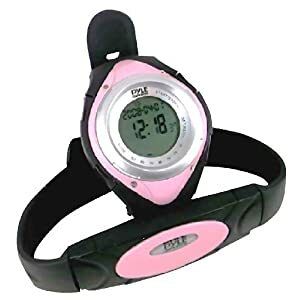 Additional but optional: You can tweet something along the lines of, “Give one creative fitness/dietary challenge & win a heart rate & calorie monitor at http://www.fitforthesoul.com/2012/07/27/coffee-bliss-and-a-giveaway/". Make sure to leave a comment saying that you tweeted about it! This giveaway will close within a week, which is Friday, July 3rd. Best of wishes to you all!